HYPERCUBE IS A HAMILTON WEB DESIGN COMPANY WITH A CLEAR FOCUS! To help you generate more profitable business through your website. Since 2004 we’ve been developing highly effective websites for businesses throughout New Zealand that attract new visitors and convert them into valuable growth business. By combining modern design and a sound visitor conversion strategy, we can help you realise your online goals. A key part of online success depends on being found easily in Google. It’s essential that your site is correctly optimised in order to be indexed and achieve a high ranking in search results. In addition, quality fresh content is valuable for improving your search engine rankings. HyperCube are specialists in Search Engine Optimisation, and offer a range of proven and affordable SEO services that ensure the creation of fresh, relevant, search-optimised web content that will be highly valued by both visitors and Google. You can analyse the effectiveness of your online marketing and measure your site’s return on investment through our powerful web analytics tools, supplied standard on all HyperCube sites. You’ll know exactly where your visitors are coming from and be able to monitor visitor traffic growth. No guesswork, just facts! A mobile compatible website is a must have, with more people using phones to browse the web than ever before. We use responsive web design techniques to ensure your visitors enjoy a superior user experience regardless of what size screen it’s viewed on, giving you an immediate advantage over your less ’tech-savvy’ competitors. So if you just want a shiny new website and don’t care whether it actually brings in more business, we’re probably not the right fit for you. But if you want to get serious with the web and have some real fun putting together an online sales-driving setup, we’d love to hear from you! We work with businesses in Hamilton and throughout NZ. Discover 8 powerful ways to gain more customers using the web. In this report you’ll learn how to dramatically increase the number of visitors to your website and ensure they contact you. Hypercube is a trusted service provider to Ultrafast Fibre. I really enjoy working with Hypercube because their reliability and responsiveness are top notch. They successfully delivered the website redesign project on time and within budget. HyperCube worked closely with our staff, helping to make every task simple. We believe HyperCube delivered on every challenge that we gave them: our Google ranking and the number of enquiries we have received from potential customers has increased beyond expectation. The team at Hypercube listened to our wishes and requirements and set to work on building an amazing new site. We are very happy with the web build and ongoing service provided, and would not hesitate to recommend their services. The HyperCube team is always responsive to our needs, making fast changes where our current campaigns require them, and helping us to understand the often tricky world of webspace. We appreciate their ongoing support and assistance. It was great how HyperCube designed a proposal based on our budget, when most of their competitors just had blanket fees. It was money well spent as not only do we love our new website, but our fans are singing our praises as well. Thanks! They were very professional and the entire process was completely hassle-free. We would definitely recommend HyperCube to anyone looking at creating a new website as you can be sure the project will be completed to a high standard. Aaron and his team have been absolutely awesome in helping us create our brand and business which includes website, logo design, apps and operating system. Our business concept evolved significantly from our initial meeting with Aaron and his team at Hypercube were always flexible and supportive of our end goal. They have definitely gone over and above with our project and we are so grateful for helping us achieve what we have today! I wouldn’t hesitate in recommending Aaron and the team at Hypercube. Aaron and his team were amazing! As a new business they were able to help guide and grow me in order to get off the ground. 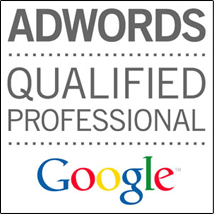 SEO and Add words were key for us as we are an online business! I would highly recommend to any business owner wanting to grow their online presence and traffic through the door. Excellent service from the beginning. A professional team who produce outstanding results. Aaron and co created a new website for me and I am very pleased with the final outcome. Highly recommend if you want help with your website and SEO. As a marketing consultant I’ve used plenty of Website designers. Some are great at the technical back end stuff but the sites look terrible, others make them look pretty but the functionality is terrible. HyperCube are one of those companies that can deliver on both. They really understand the technical nitty gritty – how to make a website really effective, user friendly, easy to find and rank high in the searches AND their websites look fantastic. HyperCube are so easy to work with – not the stereotypical non-communicative bunch as per this industry can be, hiding behind their screens. HyperCube will actually meet with clients to ensure they are delivering what the client really needs. They are also on hand to answer any questions. I wouldn’t go anywhere else – HyperCube has set the standard. If you want the best – these guys are it! I cannot thank Aaron and his team at Hypercube enough for the support they have provided me with our new website design. Being a small client with a similar budget was daunting for us, but this team produced a stunning new website for us with all the whizz-bang features of a site that was worth multiple times more. They have been fantastically responsive and have helped me with back-end web solutions too. I highly recommend any potential client wanting to work with a great bunch of web designers (and all round good people too!) to get in touch with Aaron and the Hyeprcube team. Aaron and the team at HyperCube have been a pleasure to work with. As a Copywriter I’m always looking for web design that compliments and enhances the text I write – and that’s exactly what I get from HyperCube. They’re incredibly good at what they do, and have the highest respect for every project they work on. Highly recommended if you need help with websites or marketing. Fantastic service with Aaron really going above and beyond to ensure complete satisfaction with design. I look forward to a long and healthy business relationship four our companies. Thank you. The team at HyperCube have created a website for our organisation that is easy to use and pleasing to look at. They really listened to our needs and seemed to care about our organisation. All queries are answered promptly – support is efficient and effective. Aaron is awesome at handling all the technical side of website hosting and any query we have he is very prompt in answering and finding a solution for us. Aaron is fantastic and responding promptly and explaining the technical requirements of a project in ordinary language. Great service! Hypercube have been of huge assistance developing our website and providing sound advice. I’m amazed at the extra enquiries and business I’m getting from the website. Great to deal with, very helpful and knowledgable. It’s a proven fact that if you don’t capture people’s attention within 7 seconds of them landing on your webpage they’re gone! If your website doesn’t instantly grab your visitors interest and get them browsing the site then you will be losing potential clients – and money. That’s why when designing your new website we go to great lengths to ensure it’s clear what product or service you provide, that the site is user friendly, and there are clear calls to action. We blend science with art, to create a website that makes you stand out from your competitors and encourages visitors to enquire or buy from you. Research tells us that up to 50% of initial buying research online is done via a mobile device, so it’s absolutely critical that your website provides a great user experience for mobile users. We recommend WooCommerce due to its power, flexibility and scalability. We’re confident it will not only fulfil your current needs, it will also keep pace when your business grows in the future. It’s the world’s most popular open source e-commerce platform and is ideal for running any online business. 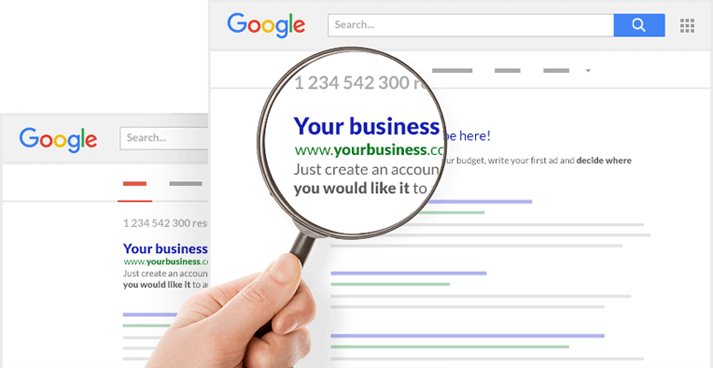 For your website to perform as a sales and promotional tool for your business, it needs to be prominent in organic search via Google or Bing. Using proven SEO techniques, we can show you precisely how to get ahead of your competitors, increase web traffic and make generate more revenue for you. The SEO industry is awash with companies making all sorts of claims – from the unbelievable to the ridiculous. So it’s hard to know who’s giving you all the facts and who to trust. What we say is that we’ll give you the same information and use the very same techniques we’ve used to climb our way to the top for our chosen keywords. Follow our advice, let us implement our plan and you too will reap the rewards. We’ll agree on our KPIs and we’ll work on that until we deliver the results you want. That’s our promise.